My favorite season is here. 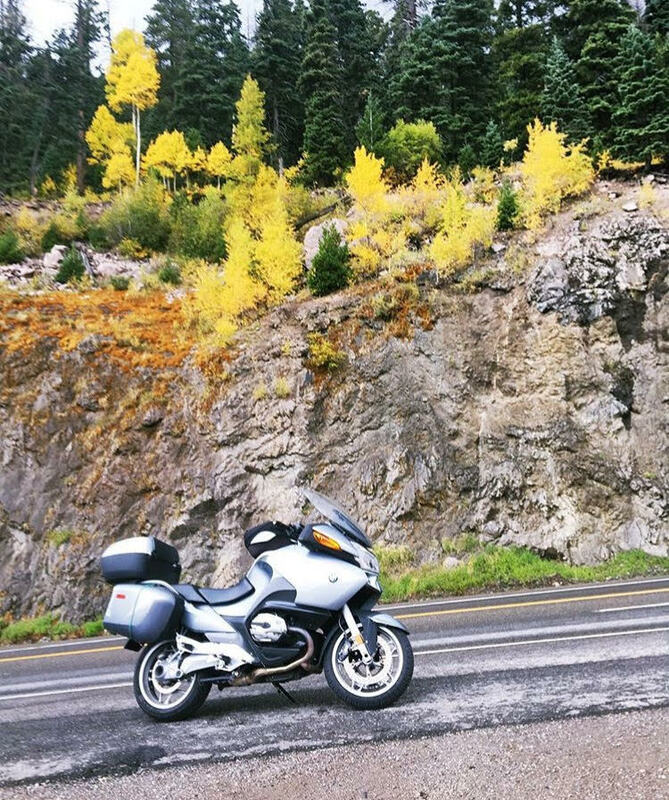 And doing a moto tour all around Colorado and Santa Fe, fall has definitely been showing off. Tonight will be about 48 degrees and I of course am the happiest girl. And of course I will take any advantage to bring the fur out. There is just something about this time of year that makes me feel wild and majestic and insanely social. Other people tend to want to hibernate and I am the exact opposite. I want to get outdoors and play. We have seen so many leaves of every color on this trip. The Aspens are just stunning this time of year. There were moments that I could not even wrap my head around the beauty of some of these national parks I have driven through. Some moments I literally found myself standing there with my mouth wide open gasping at the beauty. Bring on the layers, cozy leggings, oversized sweaters, leathers, dark polish, boots and furs. Dig out those scarves and decorative gourds and start pinning all those delicious pumpkin and squash recipes. And give in to months of glorious, glorious carbs my dears. It's okay! You deserve it. It's the BEST time of year. To get you in the full leaf-crunching, layering spirit, here are 25 tracks that celebrate my most favorite season. Spiced cider and mulled wine accompany this fall mix quite well too. Wink.